Making house addition plans is no easy feat. It can be a daunting and stressful experience for you especially if you intend to do it yourself. A lot of people try to do this on their own thinking that it would be too costly to hire professionals to do everything. Little do they know that not all design companies are expensive. 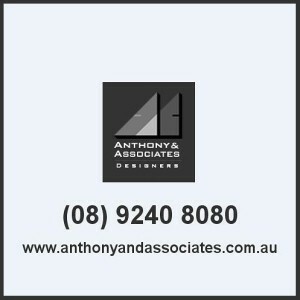 At Anthony and Associates, we know that building a new space in your house can be costly that is why we try to keep our prices reasonable. You can ask us to do not just your house addition plan or your house extension plan, but we can manage the entire project for you as well. We can oversee everything from start to finish. That means from the design process until the project is completed. It will not be an issue if you already have contacted your own builder because we can work with your builder. For those who do not have a builder yet, we can look for a builder for you. Are you still unsure if you want to build up or you want to build outwards? Do not worry we will help you make the decision. We can give you ideas and weigh the pros and cons so you can decide on what is best for you and your home. But it usually boils down to two things: budget and free space. For people who have a lot of free outdoor space, building outwards or a house extension plan will be beneficial. That may sometimes mean giving up your garden or your lawn. Do take note that building outwards may also be more expensive as foundation work can add up to your expenses. For those who do not have the extra space outside of their homes, building upwards or making a house addition plan will be more beneficial. Building upwards is not as expensive as building outwards but you can lose a small amount of space on the ground floor for the stairs. Another benefit of building outwards is that your home may have a higher resale value compared to single storey homes. Those are just some of the pros and cons but it is still ultimately up to you whether you want to build outwards or upwards. Whatever your choice may be, we will make sure that the design of the house addition plan or house extension plan is seamless. We will see to it that it will look like it is still part of the main house and not something that was just plopped down. We will ask for your input and ask about your lifestyle since we know that the design process is a collaborative effort between the homeowner and the house designer. We know that in order for you to be truly happy with your living space, we have to make sure that we make a house plan addition that meets your design requirements. It’s just not about what we think is best aesthetically but also how you are going to use the space and how it will match your day to day activities in your home. 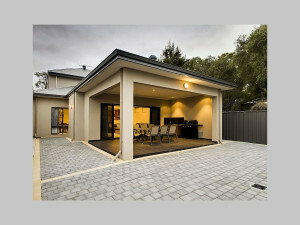 With our years of experience in making house addition plans and building a house extension plan to reality, you can be assured that we follow building codes. Having built hundreds of home additions in the past, we are very familiar with the Dos and Don’ts of building one. We make sure that every house extension plan that we do will be approved by the city council. So you do not have to worry or stress about it. People have different reasons for having an extra space, be it a room for a baby on the way or in-laws moving in, we can design a space for you. We have designed sun rooms, family rooms, bathrooms, kitchens, bedrooms, and even a garage. We have dealt with all sorts of house extensions and house plan additions. We have a team of highly qualified individuals who have acquired the necessary training for the job at hand. You can be assured that the house plan addition will be overseen by professional. To start making your dream home addition into a reality, call us up today. We can whip up a house plan addition that will meet your needs and match your design personality. At Anthony and Associates, we will make sure that we come up with a house plan addition that is truly unique and one that you can be proud of.